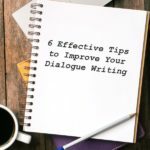 6 Highly Effective Tips on How to Improve Your Dialogue Writing! If there is one aspect of the writing process that you should take very seriously, it is your dialogue writing. It is important because dialogue is a great way to develop your characters and move the story forward. But you should also know that dialogue writing is not as easy as you may think.And if not done right, your dialogue may come out either boring or unrealistic. So … [Read more...] about 6 Highly Effective Tips on How to Improve Your Dialogue Writing! 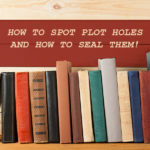 5 Easy and Effective Tips to Seal up Plot Holes in Your Storyline! Writing a story is truly a joy, because you have the potential to create something that can captivate a multitude of people. 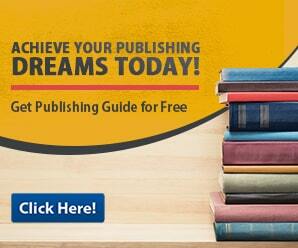 In truth, by being a writer you can create entire worlds and cultures and touch the lives of a multitude of readers. But as great as all this may sound, the story writing process can still be quite complicated.One aspect of the story writing process, … [Read more...] about 5 Easy and Effective Tips to Seal up Plot Holes in Your Storyline! 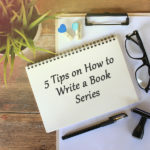 5 Great Tips for Starting a Book Series of Your Very Own! If you take a look at some of the most successful and wealthiest authors in the world, you would notice that they have one thing in common. These writers have written a book series at least once in their careers. This is because writing a book series is a very fulfilling and financially lucrative endeavor.But writing a book series is easier said than done. It usually takes … [Read more...] about 5 Great Tips for Starting a Book Series of Your Very Own! 6 Handy Tips for Coming up with Great and Original Story Ideas! One of the best things about being a writer is the fact that you have the potential to come up with truly unforgettable works. You have the potential to create stories that will stay with your readers for the rest of their lives. 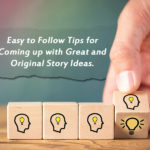 You have the potential to touch and change people’s lives with your stories.But of course, coming up with a truly great story idea is easier said … [Read more...] about 6 Handy Tips for Coming up with Great and Original Story Ideas! 7 Great Self-Help Books That Will Change Your Life Forever! In this day and age, a myriad of self-help books keep popping out of the woodwork. It makes sense though, because the world is far more stressful and unpredictable. And people just want to make sense of the world and all its complexities.But not all self-help books will change your life. 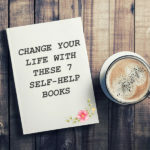 Some are just cash grabs written by enterprising writers who want to cash in on the … [Read more...] about 7 Great Self-Help Books That Will Change Your Life Forever!